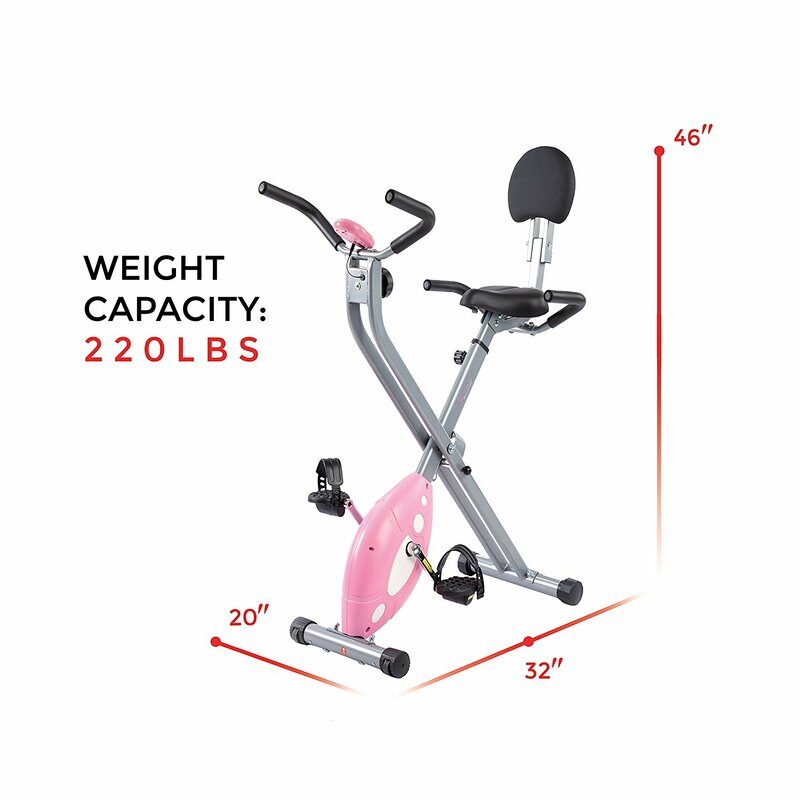 If you are in need of an applicant to exercise at home, which can provide you with both easy workouts for improving general health and serious workouts for enhancing your strength, you definitely should have a look at Sunny Health & Fitness Magnetic Folding Exercise Bike – SF-RB1117. 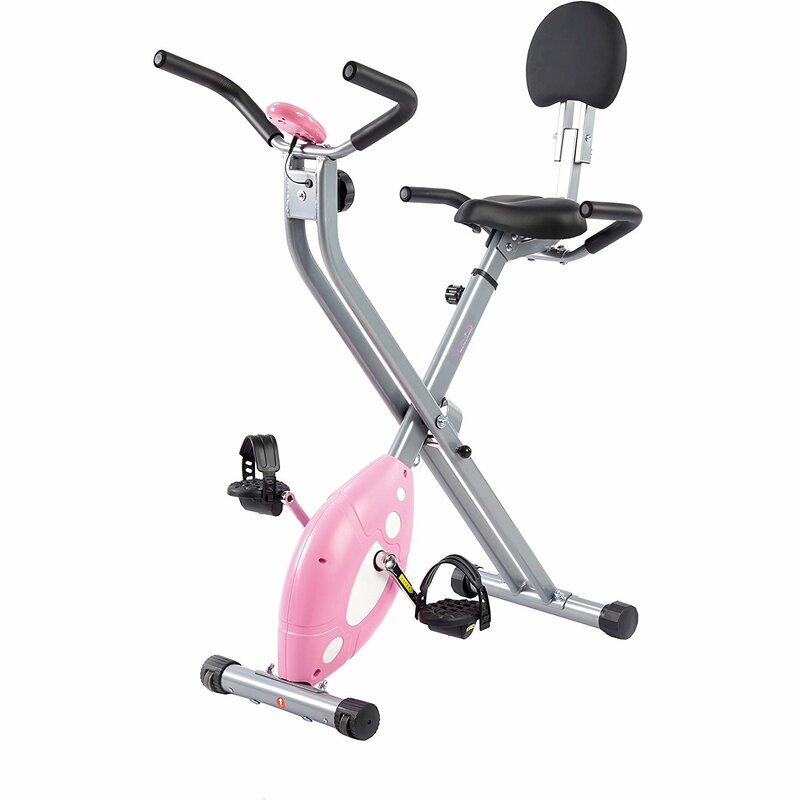 This is a hybrid and compact bike that can give you various kinds of exercises with smooth and stable pedalling. And the most important factor that makes this bike so wonderful is the really affordable price. Who said fitness is costly should look at this exercise bike. Sunny SF-RB1117 is a hybrid bike – the bike between a recumbent exercise bike and an upright exercise bike. However, Sunny SF-RB1117 is slightly toward a recumbent exercise bike. This kind of bike focus on mobility and compact, so it has a really space-saving design and foldability. The bike has two pedals forward, a seat with a small backrest, and two handlebars under the seat like a recumbent bike to maximize the comfort and support of your joints and back. 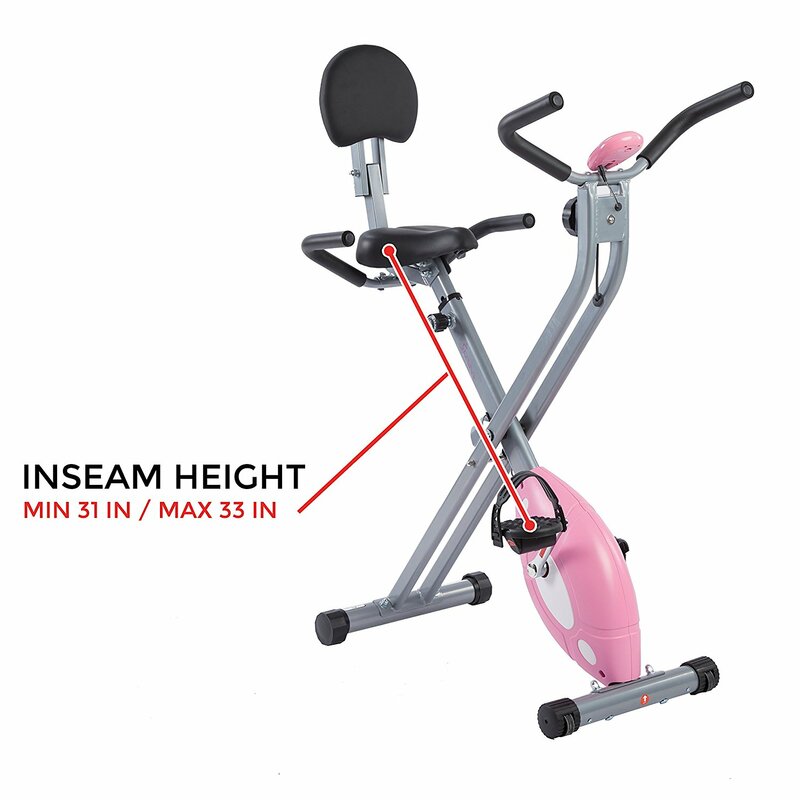 They also design two additional handlebars forward like an upright bike to shape you in a more dynamic posture for more consistent and serious workouts. 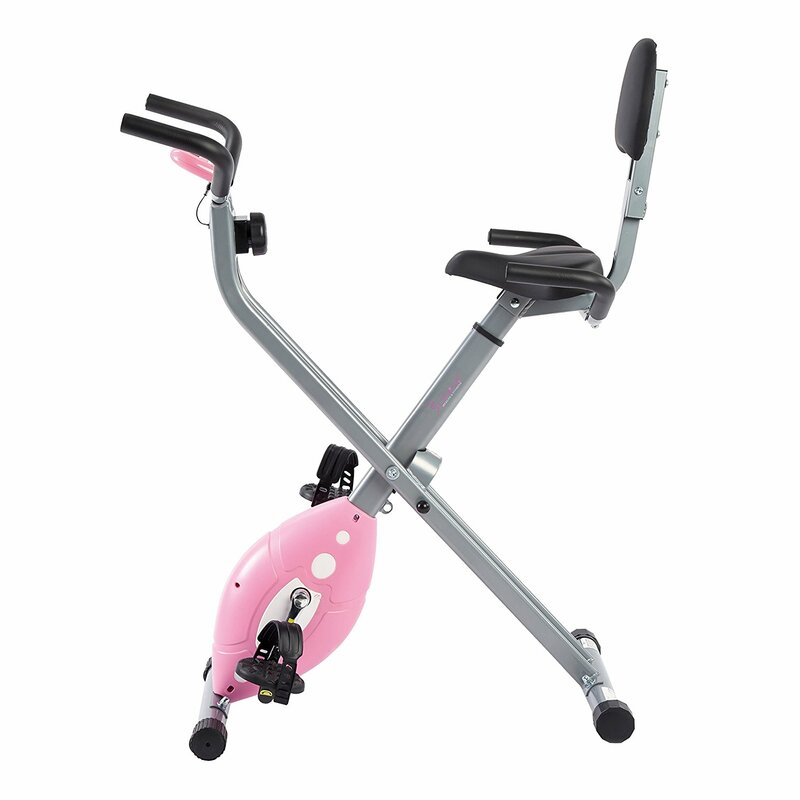 With this hybrid design, Sunny SF-RB1117 provides you with various types of exercises. From the easiest exercises for rehabilitation therapy treatment to harder exercises for improving cardiovascular health, and even more intensive exercises for enhancing musculoskeletal strength and stamina. However, the drawback is that the bike is not as comfortable as a traditional recumbent bike, and not as effective as a traditional upright bike. – Sunny SF-RB1117 is lightweight and compact with the dimensions of 46H x 32L x 20W inches (116.8H x 81.3L x 50.8W centimetres) and the weight of 36.8 pounds (16.7 kilograms) – it’ll perfectly fit small rooms and apartments and suitable for kids, women, oldsters and men who are not so hefty. In particular, the bike can carry up to 220 lbs (99.8 kgs) and 4’10” to 5’10” users. – The bike has two set of handlebars for both type of use – as a recumbent bike and as an upright bike. – The build quality is good with excellent materials. The bike is solid and will stay firmly and sturdily when you are cycling. – The bike is equipped with durable powder coated steel frame construction, padded seat, 3 piece crank system, offering stable, smooth and consistent pedalling feeling, and a quiet operation. – It is simple and easy to use, all you need is to climb on the bike and pedal. There are not many functions on the bike, they just focus on the core functions, making the bike really affordable. – A small LCD computer integrated, which can be used for tracking your workout progress. – This bike does not come fully assembled. There are only pre-installed components and frame in the box. So, you will need about 1 hour to assemble it together. – The bike doesn’t have a high weight capacity and is not suitable for those who are taller than 6 feet. – The seat is uncomfortable so that you might need a towel/an additional seat cover to make it more comfortable. – The bike is nearly a recumbent bike with additional handlebars ahead, thus, it won’t offer really serious workouts as a traditional upright bike. Sunny SF-RB1117 has a good appearance with powder coated dark black frame. It is designed with two main sturdy steel tubes crossing each other. The bike is well built and with two additional front and rear bars under each tube, you are assured for the firm and stable pedalling without any rocking or shaking. Front and rear bars are wrapped so that the bike won’t move while you are exercising. However, they don’t have levellers, thus, you need to stand it on a level ground. The front bar has two transport wheels. These wheels let you move the bike easier by folding it up and leaning it on the wheels. Sunny SF-RB1117 provides you with 8 levels of resistance that can easily adjust using this knob. To increase the tension, turn the knob in a clockwise direction. To decrease the tension, turn the knob in a counterclockwise direction. Sunny SF-RB1117 seat is large to fit all size of users. 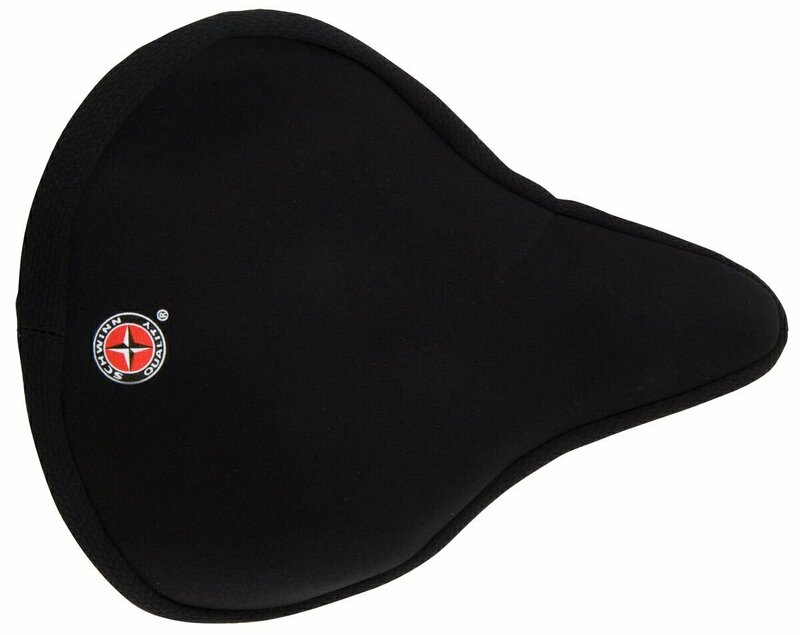 It is padded and ergonomics, however, it is not comfortable but really hard and makes you have a sore bottom since it is designed like a real bike seat but no effective shock absorption system. If you find seat hard, you can purchase an additional seat cover (i.e Cruiser Gel Seat Cover) or place a towel on it. The seat is adjustable up and down to many users’ height. Those are taller than 6 feet can also use the sit, but I’m not sure you’ll have a comfortable riding feeling. Thanks for the adjustability, you can use the bike as a recumbent bike or as an upright bike. If you want to pedal it like a recumbent bike, you need to lower the seat. If you want to pedal it like an upright bike, you need to lift the seat up. There is a backrest to support your back. It is small and cannot be adjusted. However, it can support your lower back well. Sunny SF-RB1117 has dual handlebars. Two handlebars are right under the seat, and other two are in front of you. When grasping the forward handlebars, your upper body will forward and a little downward, creating a dynamic posture for effective workouts. When grasping the backward handlebars, you will be in a supported and relaxed posture that can lower the pressure on your shoulder and back when you are riding. It doesn’t come with integrated Hand Pulse Sensors. So the bike lacks the ability to track your heart rate for maintaining target heart rate. It’s quite a big drawback since heart rate is the important information helping you better understand your health and fitness status. Sunny SF-RB1117 pedals are designed with adjustable foot straps and non-slip texture in order to provide proper alignment and remain grip for efficient pedalling with ultimate control. These pedals will accommodate all sizes. These pedals are self-levelling so that they are always upright and ready for use to use. 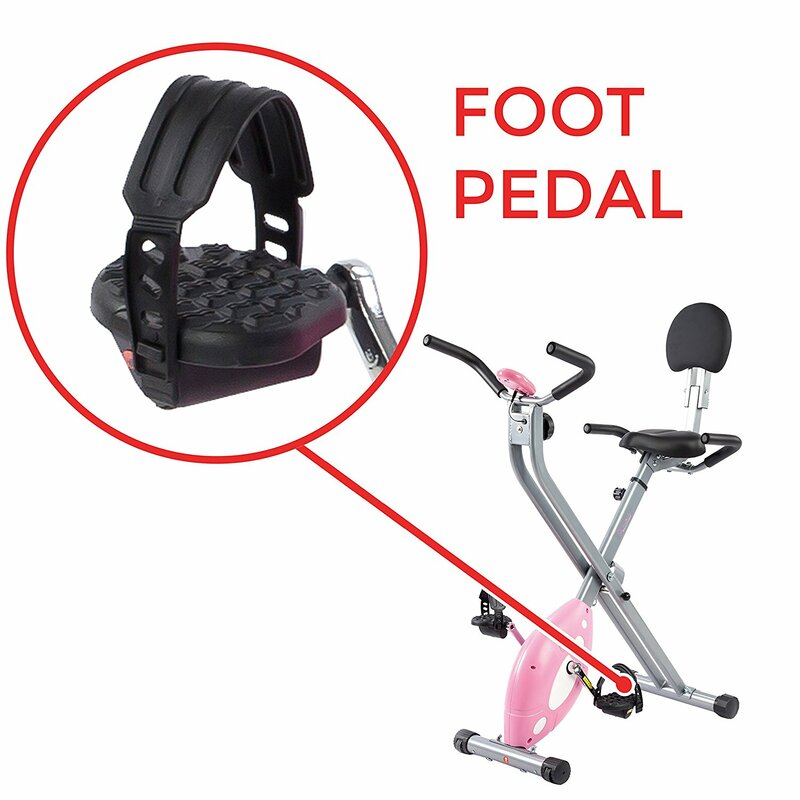 And also it’ll support your ankles that your ankles don’t need always create a force to hold the pedals. You will exercise without feeling unbalanced. The pedals are connected to the bike by a 3 piece ‘high torque’ cranking system that gives you a smooth and consistent pedalling motion without any noise. 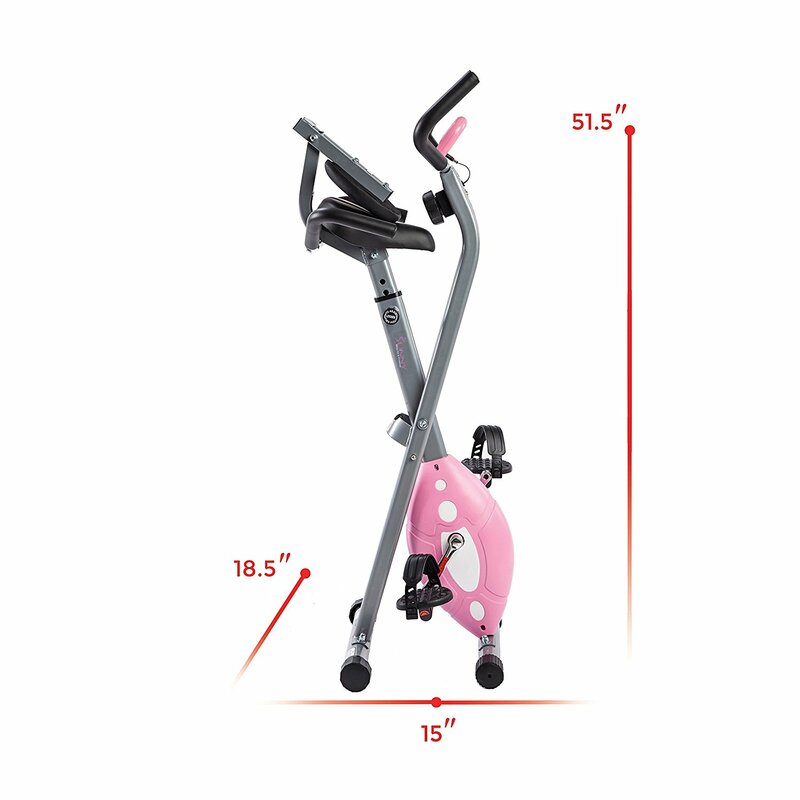 Together with the precision balanced flywheel and magnetic resistance mechanism, the bike will completely quiet and won’t interfere with watching TV or listening to music. 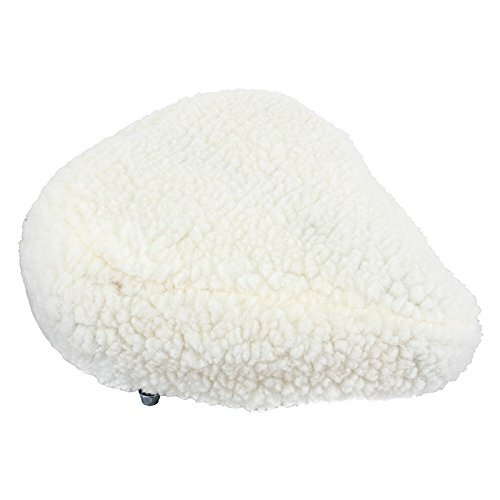 It also enhances the comfort of user’s foot, ensuring the practicing experience is smooth and rhythmic. The material of these straps is plastic, but it is made well and will not hurt your foot when you pedal by your bare feet. 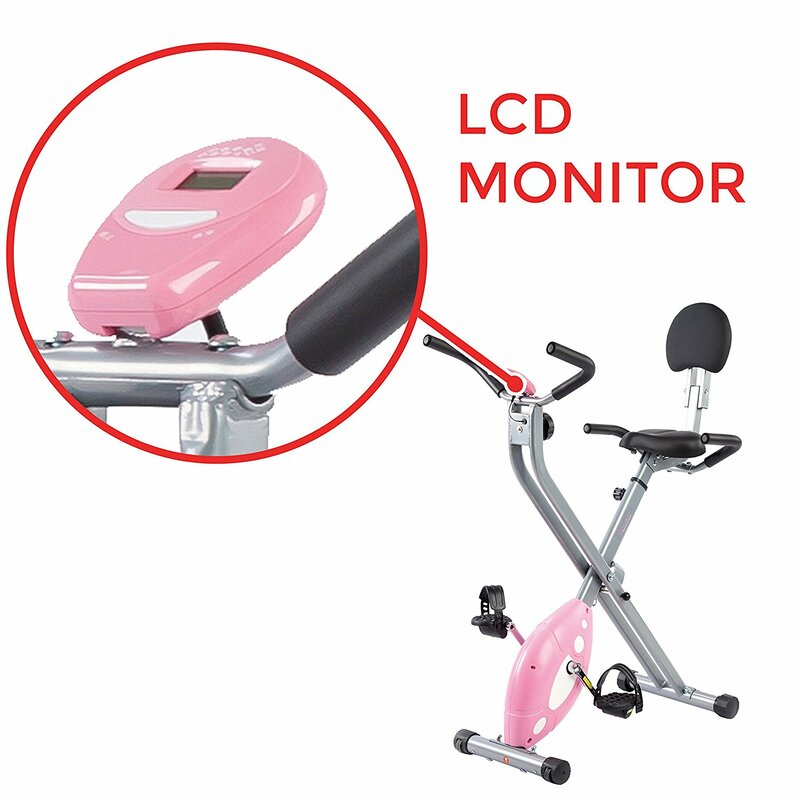 At the front handlebars, there is a small LCD display equipped for you to track your workout progress. It displays speed, distance, time, and calories burned. That’s all about the design. The bike is really simple in the design, and it also simple in the way of use. Let’s find out whether the bike provides you with good pedalling feeling. – The simple operation that keeps you focusing on pedalling and achieve your fitness goals. – Two sitting postures, every posture is suitable for different particular fitness purposes. – Magnetic resistance mechanism and strong build give you smooth, stable and quiet operation. – No noise, little heat and no dust. – Lack of interesting functions. Leaning your back on the backrest, straightening your legs to reach the forward pedals and holding the seat handlebars to lift your body up will help you sit comfortably. This posture is good for your spine and shoulders, and suitable for relaxing workouts. By maintaining this posture, your arms, knees, shoulders and back will be supported, and you can protect you from knee injuries, shoulder and arm pains, as well as diseases of the vertebrae. This posture is good for rehabilitation therapy treatment and cardiovascular health. Another posture is that your both hands grasp the front handlebars. And your upper body will be forward and as downward as fast your pedalling is. This posture allows you to put more effort to pedal fast, which is great for weight loss and muscle training, while still support your hip, knees and ankles. Both postures are good and suitable for particular purposes. To create the resistance, Sunny SF-RB1117 uses a Magnetic resistance mechanism – the system uses electromagnetic induction to provide the resistance – and a precision balanced flywheel. So that your bike will operate smooth, quiet and precise. When you start pedalling, your first several rotations are quite hard. And it gets easier and smoother after every rotation, even, you will need to produce a force to slow down the speed. Furthermore, you can easily adjust the level of resistance at a push of a button. 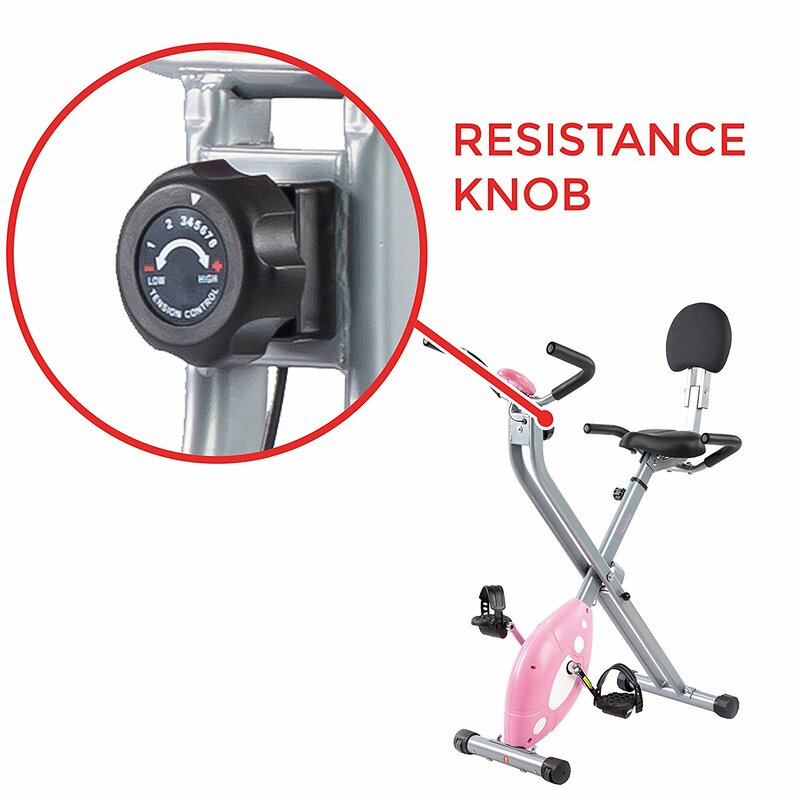 There are 8 levels of tension resistance, so you can turn the knob to increase or decrease the tension. 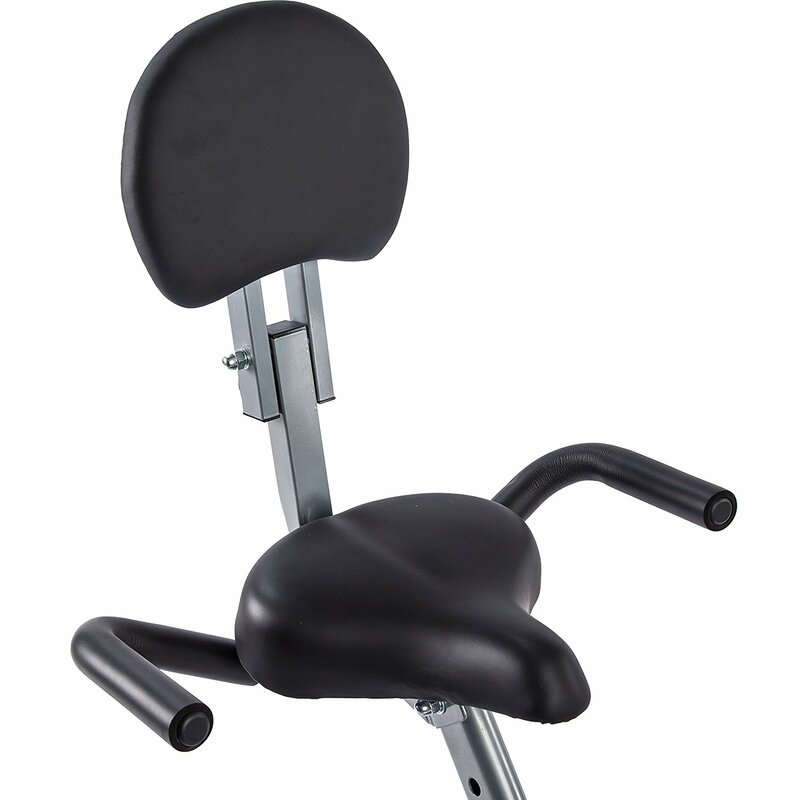 Pedalling at a low resistance level and using the seat handlebars and the backrest, you are ready for rehabilitation and general fitness. Pedalling at a high resistance level and using the front handlebars, you are in the training for your muscles and weight loss. The smooth operation allows the bike not to cause problems for people with joint issues. In fact, many people with injured knees have used the bike for rehabilitation or general fitness and have got good results. The components of a Magnetic resistance mechanism system also have a longer life than other kinds of resistance mechanism systems. You don’t have to be worried about replacing them, which will lower your cost. Noise: The magnetic resistance system and 3-piece crank system make the bike operate smooth and quiet. There won’t be any annoying noise. Heat: The bike’s design is very open, so there is a lot of space for air circulation. You won’t have any problems relating to hot and humid feeling. Dust: The design of Sunny SF-RB1117 is really simple, so you do not need to worry about dust and dirt. And if the bike is dirty, you can easily clean it with a washcloth and clean water. Sunny SF-RB1117 has a really affordable price for beginners and amateurs. The bike has a low cost, however, it has a good quality that can provide you with smooth and sturdy pedalling. It’s such a good deal. As said above, you need to assemble it yourself as it arrives unassembled. If you don’t like to assemble it yourself, you can pay an additional $70 for an Exercise Bike Assembly Service Package. However, it’s really easy to assemble Sunny SF-RB1117, and I think you will enjoy the assembly section like the experience IKEA products bring to customers. If there are equipment frame problems due to a material defect or manufacturing error, Sunny Health & Fitness will replace the frame. All other components will be replaced if there are inquiries. + Ordinary wear and tear or anything you break accidentally or deliberately. + Improper assembly, improper maintenance, paint damage, or damage due to accident, abuse, misuse, neglect, or theft. + Damage due to installation of new parts. Sunny SF-RB1117 has a high Amazon product’s star ratings . This index uses an AI model instead of the simple average indicator to give customers better information. In particular, it considers the factors like the time of reviews, helpfulness votes by customers and whether the reviews are from verified purchases, to calculate the final score. Does this bike come assembled? The answer is no. It comes half-assembled, and you have to screw on the pedals, seat and handlebars, which is easy that you can solo assemble and the assembly will take about 1 hour. Can I pedal it backwards? The answer is yes as the customer service staff said that. And when giving it a try, many said that it’s as smooth and quiet as it is when you pedal frontwards. And also the odometer will count the distance as you are pedalling toward. What is the size of the seat? Any recommendations of gel seat cover? The seat is 9.5 inches in Width, 10.5 inches in length and 2.5 inches in Depth. And you can check my two recommended seat covers above in section 6. Or, you can use a towel, it’ll be effective as well. What unit does the display unit use? It depends. For US market, the display will show in imperial system (mph) and for other markets like EU or Asia, the display will show in metric system (km/h). How difficult is the highest resistance setting? The highest resistance level is challenging enough for me. But, the resistance and so does the kind of exercises this bike offers will not satisfy fitness enthusiast. 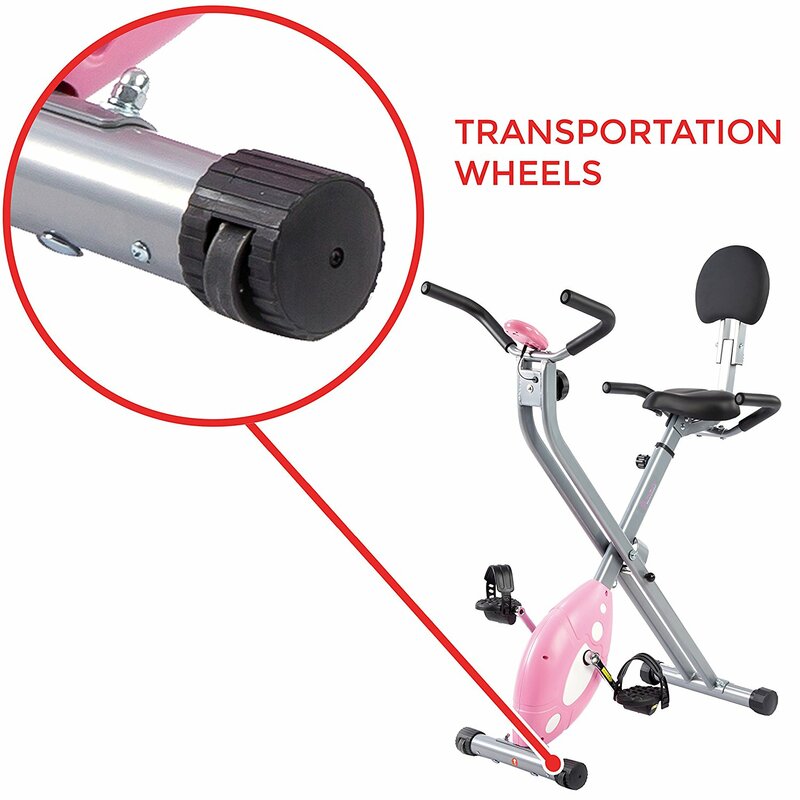 In the customer reviews section, There are many positive reviews as the bike’s construction is sturdy and provides a quiet ride, the assembly is easy and the good workout feeling the bike offers. It seems that people really appreciated the bike’s space-saving ability and its low price. They said that they enjoyed pedalling while watching TV with the family. And some said that they had injured knees but were able to use the bike easily, and already had had signs of recovery. But also there are some negative reviews as there were some problems from the factory assembly, such as obnoxiously loud clicking noise coming from around the flywheel when pedalling – it’s quite annoying, however, you can contact Sunny and require them to replace it for you. Thus, make sure that you check the bike carefully when it arrives and contact the manufacturer as soon as possible. And some said that they were in need of new pedals after a year of using since the pedals are made from cheap plastic – this is true, however, it won’t cost you a lot. To sum up, there are some drawbacks, however, it’s still a good deal after all. In conclusion, Sunny SF-RB1117 is really a good budget bike that is super space-saving and quite sturdy. By committing to exercise using this bike, surely you can improve your general health and stay fit. It is also good for physical rehabilitation/physical therapy treatment. However, the features of Sunny SF-RB1117 are really basic and there are some disadvantages mentioned above, if you want a more advanced bike, you can check my recommendations below.